Being one of the most important elements in interior design, lighting can bring out the best (or the worst) in your home décor. Appropriate lighting can transform the look of your living space, and set the mood suitable for the purpose of every room in your house. However, the philosophy of proper lighting entails more than just installing bulbs around the house. Each room requires a different lighting scheme that will be appropriate for its function enabling you to perform your tasks more easily, or relax in an intimate ambiance. Sticking to incandescent lighting fixture is both inefficient and expensive, so you should consider switching to eco-friendly lighting. By opting for LEDs or compact fluorescent lights (CFL), you will significantly reduce your energy bills. These types of lighting are also healthier than incandescent lights because they don’t emit carbon dioxide. In addition, LEDs emit light that is quite similar to natural light having a much better effect on your interior design by creating an atmosphere of warmth. 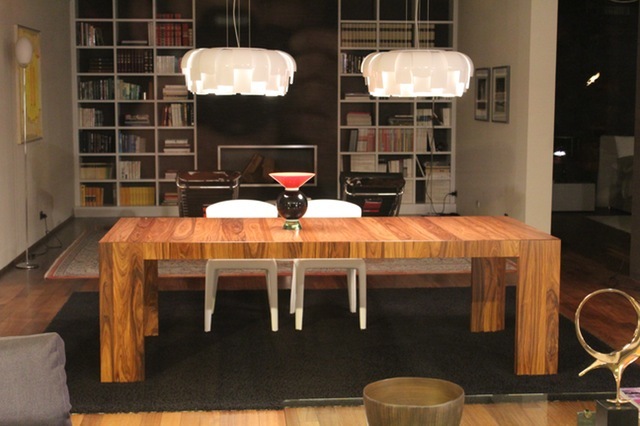 The function of a room will greatly influence the type of lighting plan you should install. You can install overhead chandeliers in every room of your house, but you’ll quickly realize that that you can’t put your makeup on properly, or that you can’t prepare your food without getting cut. Of course, if you have troubles deciding which lighting plan is suitable for your home, you can always hire an interior designer to help you out. Typically, your kitchen requires task lighting that will provide you with a focused light necessary for slicing and dicing. Your bathroom will also require task lights, but you should avoid placing a single overhead light, but opt for side lights instead. Otherwise, you’ll hate looking yourself in the mirror because of the unflattering reflection. 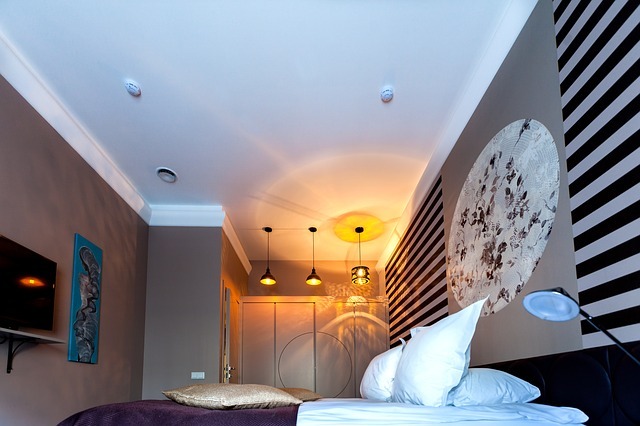 In your living room, you can combine table lamps, floor lamps and down lights, while in the bedroom, you can install wall lights – according to feng shui principles, a chandelier above your bed will create oppressive negative energy. You should also include bedside lamps – not only will they look trendy, but they will also save your toes from painful stubbing. Finally, if you have a dining room, you can use an overhead chandelier as a stylish detail – just make sure not to place it too low. Having one light source for an entire room will be insufficient, and the rest of your space will be quite dark. Instead, you should include several points of light and place them around the room to illuminate every part of it. Moreover, if you install several sources of light, the combination of different lights will create a stylish environment. Not only can lighting fixture affect the general atmosphere in your home, but they can also be used as décor details. You can use table lamps as focal points of your living room, or install a trendy pendant lighting that will be a décor statement. If you don’t have many attractive options in your local stores, you can always browse through lighting online, and even find a great deal. When it comes to incorporating lighting fixtures into your home, make sure that they work well with the general style. Candles are always a stylish accessory to home décor because they create an intimate and romantic atmosphere. They emit a soft glow that creates an impression of effortless beauty in interior design. The best thing is that you can use them in every room of your house. In your bathroom, you can use them to create a spa-like ambient, while in the bedroom, you can add a touch of romance. However, you should opt for beeswax candles, an eco-friendly alternative that will minimize the indoor air pollution. If used properly, lighting can bring a sense of novelty into your home and create an authentic ambiance. By following these tips, you’ll have a perfectly lit home in no time.